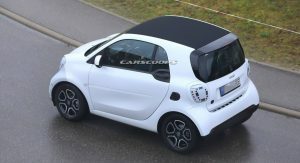 The future of the Smart brand has been decided on March 28 when Daimler announced it ceded 50 percent of the city car specialist to China’s Geely. 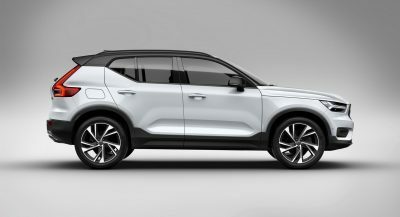 The two companies have formed a 50:50 joint venture “to own, operate and further develop Smart, the pioneer of small urban vehicles, as a leader in premium-electrified vehicles.” Under the new agreement, Geely will engineer the new models while Mercedes-Benz will style them. 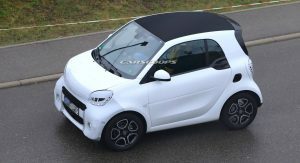 The all-new Smart EVs co-developed by the two companies will be built in China and will launch from 2022. 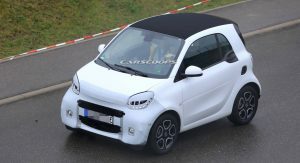 Until then, Daimler said it would continue to build the current-generation Smart EQ Fortwo at its Hambach plant in France and Smart EQ Forfour at Renault’s Novo Mesto facility in Slovenia. 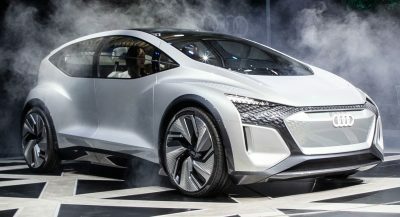 To ensure its electric city cars remain competitive until 2022, Daimler will give both models a mid-life facelift that’s expected to debut for the 2020 model year. 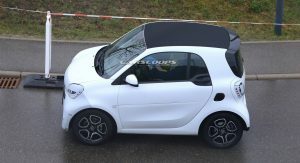 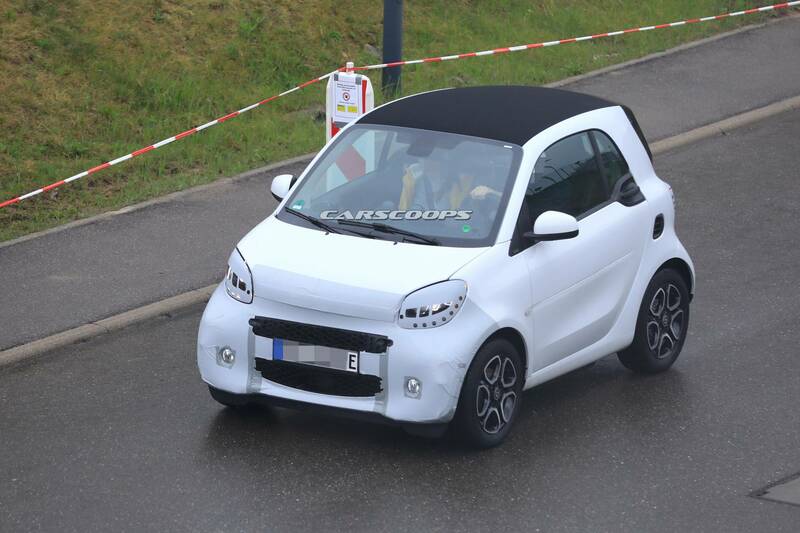 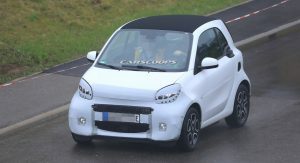 The refreshed Smart EQ Fortwo has been spotted for the first time and, as you can see, the changes won’t be radical. 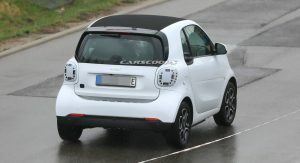 Quite the contrary, the exterior of the two-seater electric city car will only feature an updated front bumper and grille, as well as refreshed headlights and taillights. 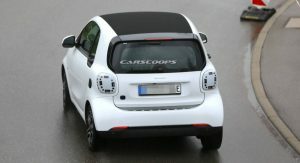 Speaking of the lights, they will feature new signatures, likely inspired by the Smart Forease+ Concept. 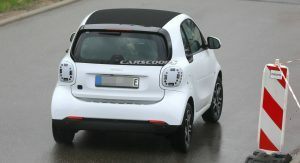 Both the Smart EQ Fortwo and Forfour are expected to get the same design updates. 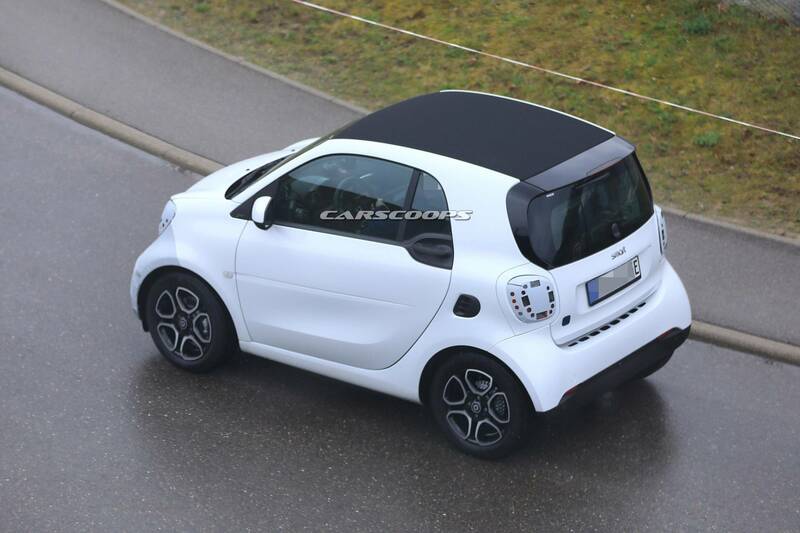 One of the photos also grants a peek inside but we can’t spot any significant changes over the current model. 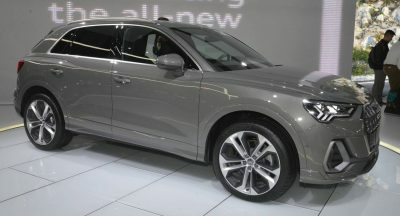 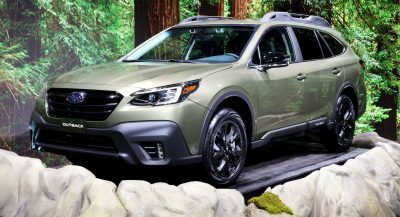 The powertrain is also expected to carry over unchanged. 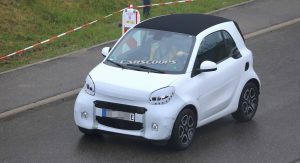 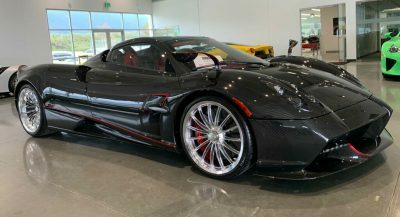 As a reminder, it consists of an electric motor that delivers a maximum output of 60 kW (82 PS/81 hp) and up to 160 Nm (118 lb-ft) of instant torque. 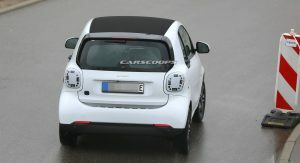 The 17.6 kWh lithium-ion battery enables a driving range of around 150 km (93 miles) according to the NEDC standard. 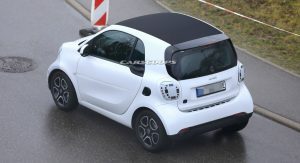 The Fortwo needs more than a Facelift to help it. 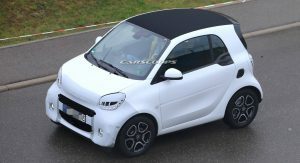 It needs a full front bumper cover back transplant.